The ultimate fast-track course, a fantastic opportunity to spend the best part of a season in the world's finest ski resort, broaden your horizons and of course receive the best ski tuition on your way to a internationally-recognized qualification. 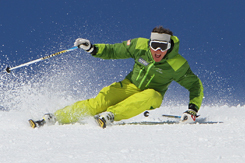 The course kicks off with a week's intensive personal performance course given by BASI Trainers covering all areas of skiing - high-speed, off-piste, bumps, steep slopes, racing, snowpark and freeride, mountain safety and off-piste awareness. 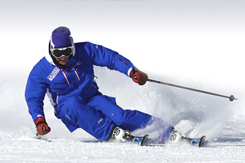 Below is a timetable of the course for the 10 Weeks you will be with us in Val d'Isère. Introduction to the Central Theme. Introduction to the Teaching Principles. A comprehensive action plan and review with your BASI Trainer on how to develop through the rest of the course. The Level 1 course ICE party - a chance to let your hair down after a busy couple of weeks! Freestyle training with Olivier Renassia. The 4 week course ICE party! The program above follows how the course has run in recent years but should not be viewed as a definitive itinerary which will be communicated to you week to week via the members area of the website. It can be subject to some variation depending on weather conditions and other circumstances, but this will give you a good idea of what to expect. 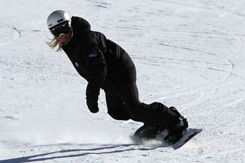 We can cater for a large range of abilities since there are many groups on the course. Because of this, if you are already a good skier your level will be pushed with other good skiers around you. 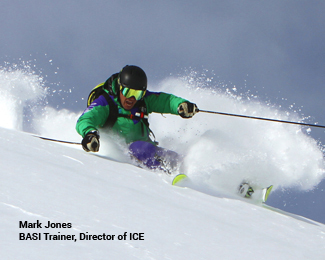 Our trainers train and assess to the highest levels in BASI so there is no ceiling to your improvement. 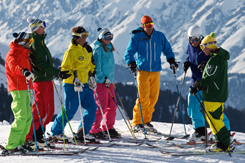 Similarly if you are an inexperienced skier or rider you will be in a group with similar abilities so your needs will be met in this respect too.